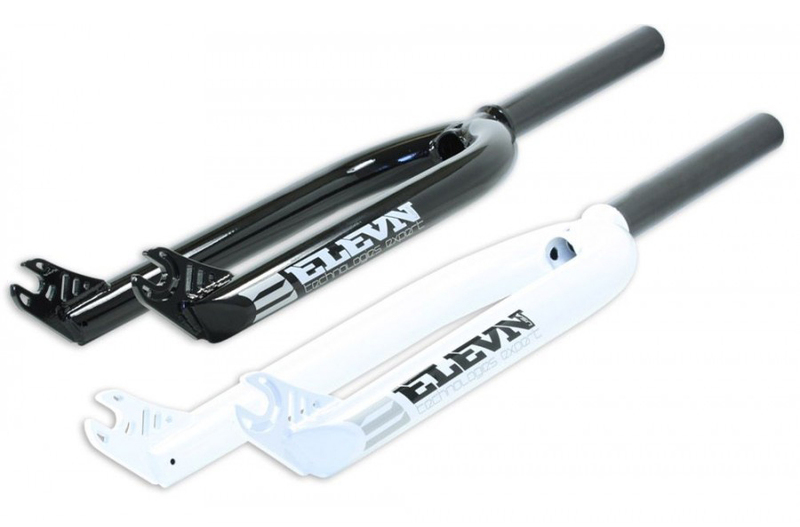 Elevn Racing is proud to announce the addition of the new G2 SLT 13 Butted Handlebar, as well as the arrival of the Mini-Junior 1”, Expert 1”, Pro 8.0, & the Pro Cruiser Lite Forks. 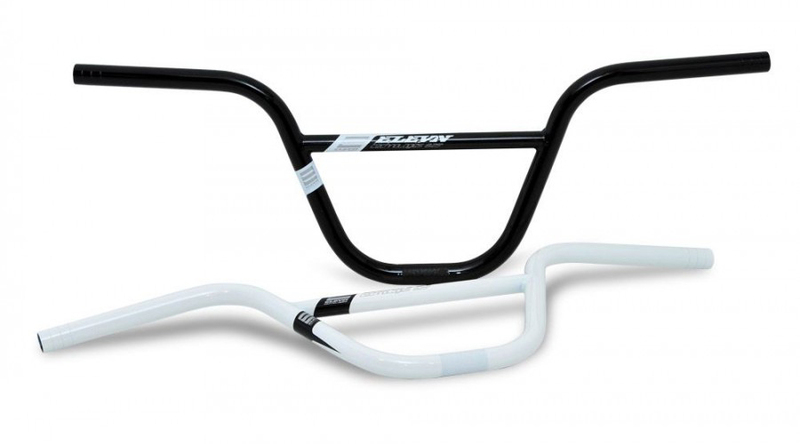 Elevn Racing handlebars have been designed to be the ultimate BMX race bar. Each Bar is made with ultra light 100% chromoly heat treated 13-butted tubing, building handlebars that are extremely lightweight yet strong. The G2 SLT is offered in Black & White Logos and White with Black Logos. All 6 sizes: 8.25”, G2 SLT 8”, 8”, 7.5”, 7”, & 5.75” are available in black or white. The 8”, 7.5”, and 7” also are offered with Blue or Red decals in both colors. Our full line of 4130 chromoly forks are perfect for the high demands of BMX, but still are light enough to keep the weight down. 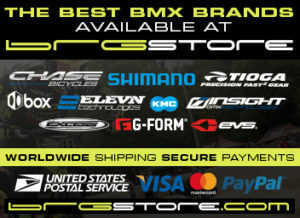 We now offer forks for the little guys & Pros, & Pro Cru riders who want a light, strong fork & get a great value too! 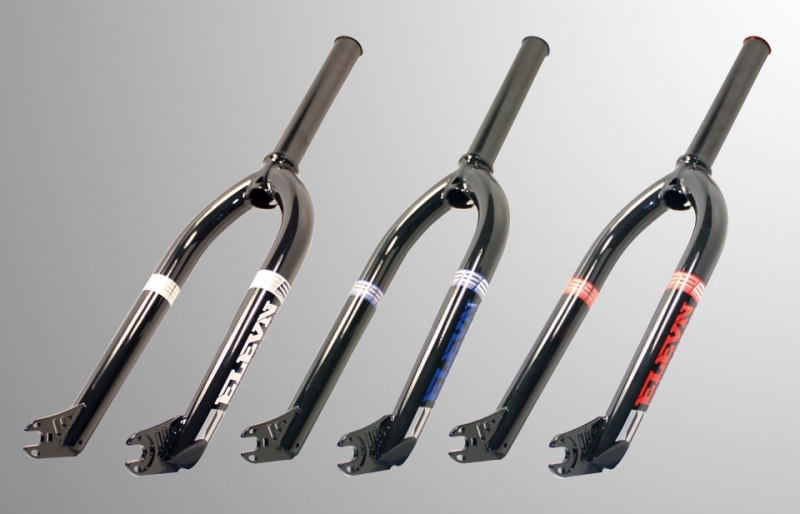 Elevn offers a full line of 4130 chromoly forks to complement our 13-butted handlebars. The products are perfect for the hi-demands of a Supercross track, but light enough to keep your bike weight low & faster on any type of track. Our Forks feature double butted, tapered legs, CNC machined dropouts, and a double-butted steer tube with our 1 1/8th forks featuring an alloy stem lock cap and 2 included spacers making this one incredible fork. Offered in black or white: 8.0 Pro, 7.0 Pro Lite, Pro 24 Lite, Expert, & Mini/Junior.